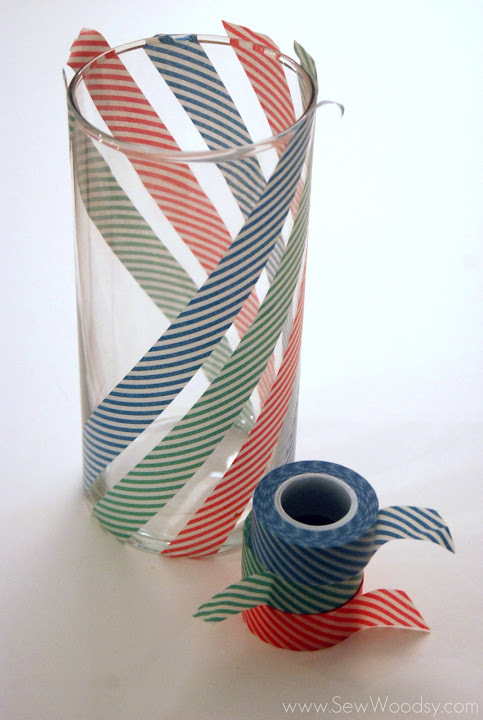 Washi tape is all the rage right now. I was so happy to find 4 teeny tiny rolls at Target for $4. So of course in my craft hoarding way I bought all three color varieties. 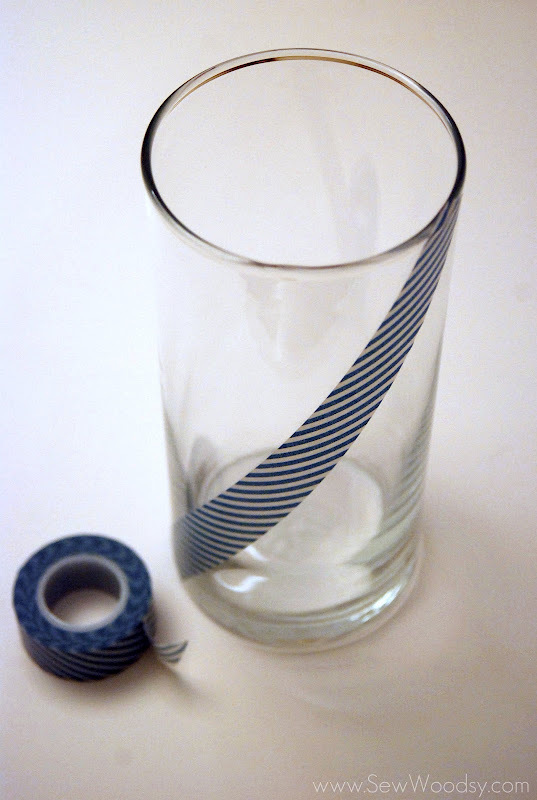 Shhh don’t tell Mr. Woodsy I spent $12 on paper tape. 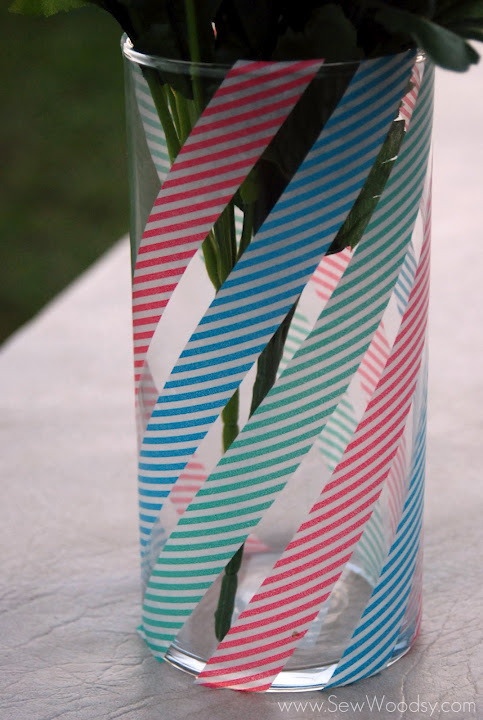 lol I wanted to make a fun vase that goes with the seasons and washi tape is a great medium to use since it easily peels off surfaces. 1. 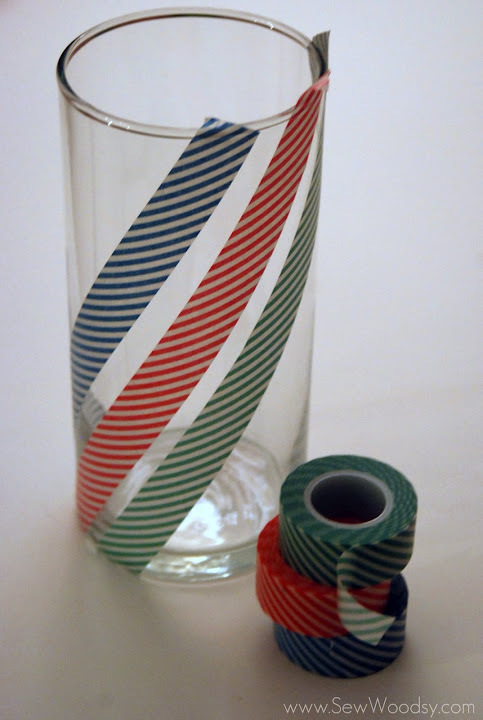 Take one roll of washi tape and start from the top of the vase carefully bringing the tape down at a curved diagonal (as pictured above). Make sure to not get any creases or bubbles in the tap. 2. 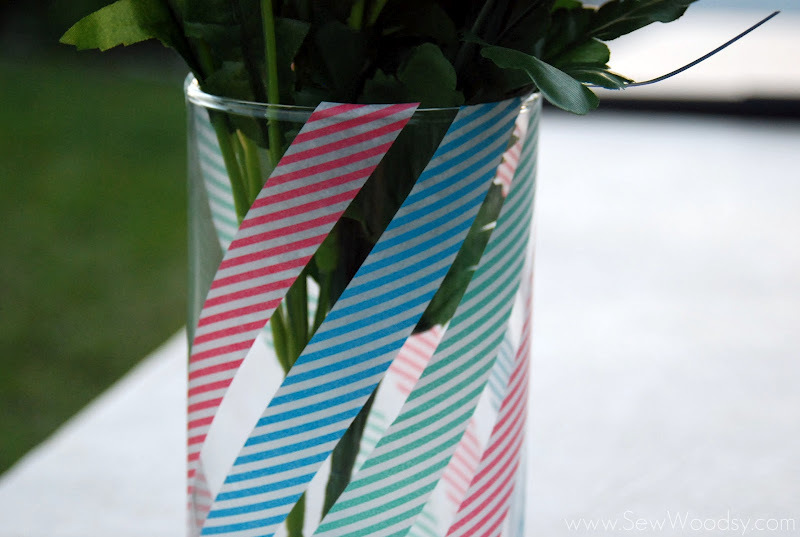 Giving a 1/2 inch space between the first tape line add the second color of washi tape to the vase. 3. Repeating the last two steps above add the third color to the vase. *You’ll notice that my gaps in between aren’t perfect–that’s ok. Remember, no one is perfect! 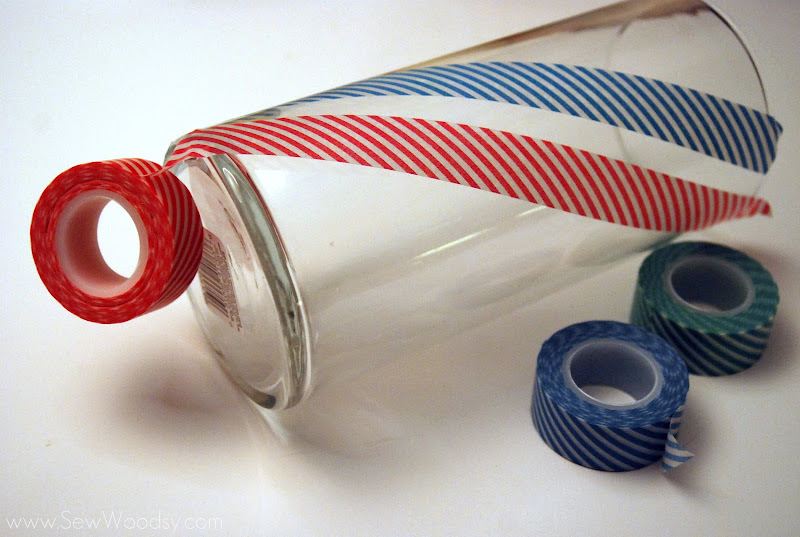 4.Keep repeating the pattern by adding washi tape. 5. 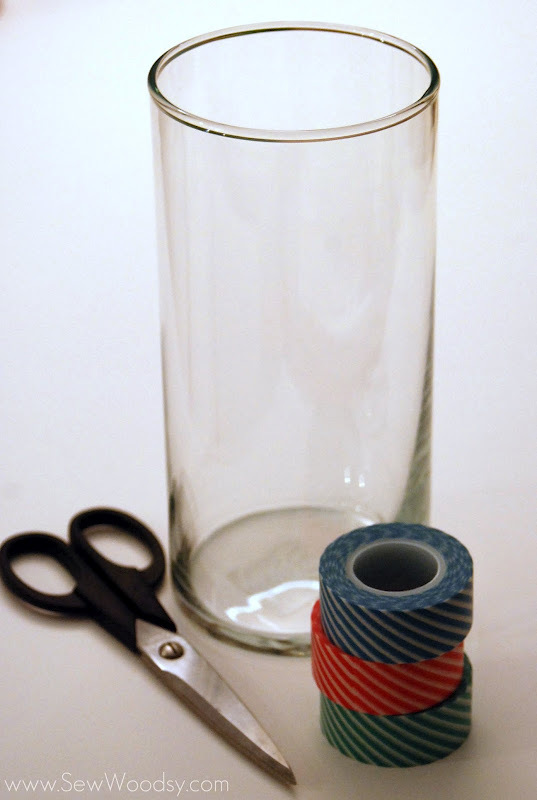 Once you have the desired amount of tape added to the vase begin carefully cutting the tape from the edge of the vase. 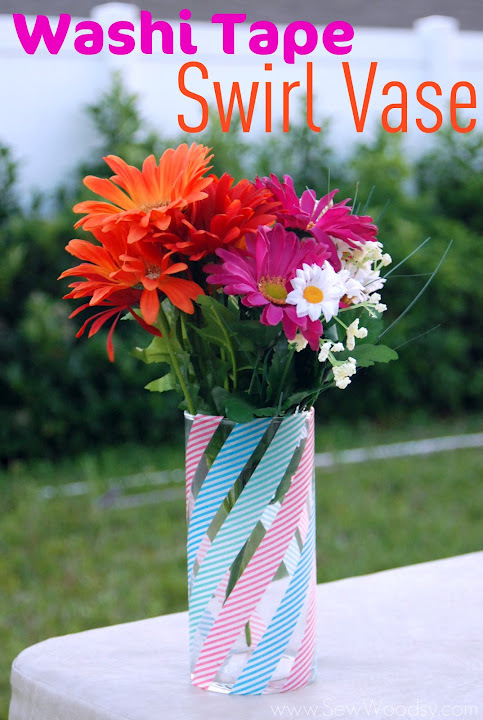 Display pretty flowers in your vase and know that in a few short months you can pull the tape off and create a whole new vase! Katie! That is so darling! And I love that you can change it up so easily…hope you have a great weekend! Thanks! 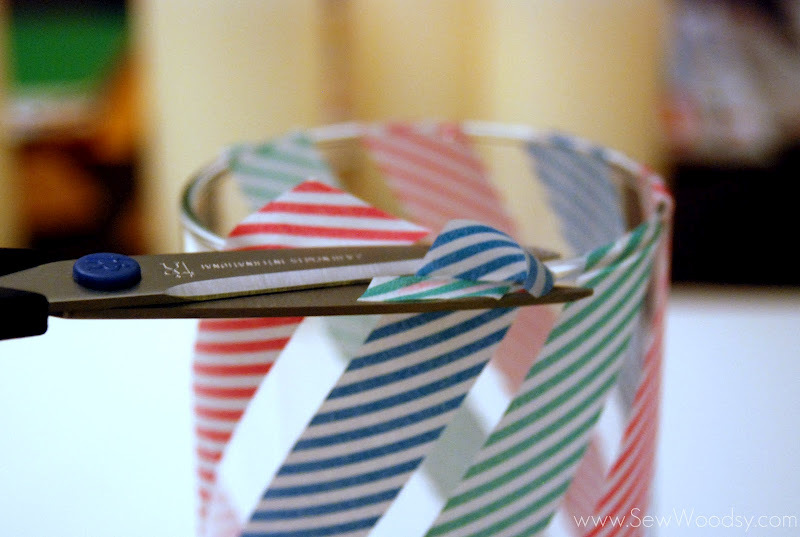 I know I too love the versatility of the washi tape! Very cute! I’ve never seen that tape before. Thanks a lot! Now I have something else to buy!!! Its starting to slowly hit the craft world by storm! You can find it all over etsy!